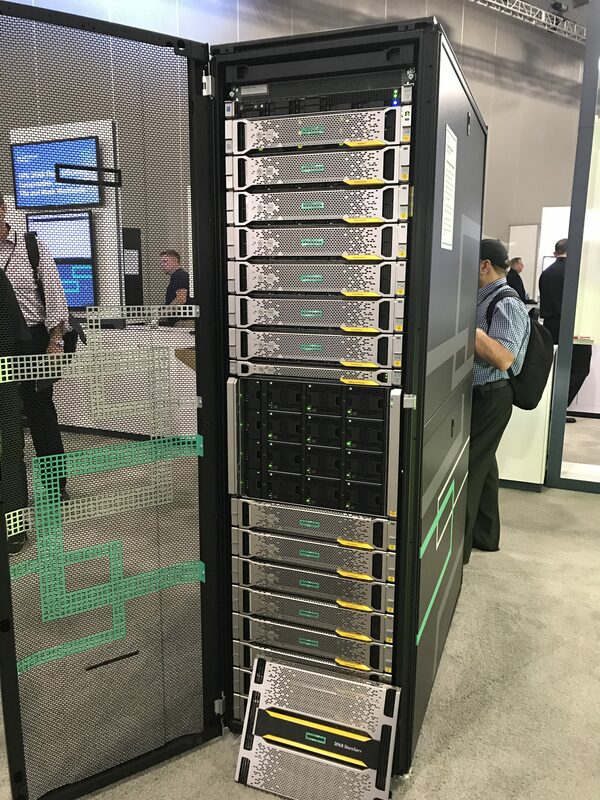 A few weeks ago, HPE introduced a brand new 9450 all-flash model of its 3PAR storage arrays leading up to HPE Discover and the company showed off the new arrays during the event. The 9450 joins the current offering of 8000 and 20000 series arrays and is the first in a new 9000 series of arrays. The new model is targeted at the mid-range, the same as the 8000 series arrays, with up to 4 controllers in an active mesh configuration. HPE is quick to say that the 9450 is not a replacement for the 8450 all-flash model, positioning the new array for customers who want larger scale, the ability to utilize NVMe and higher performance. 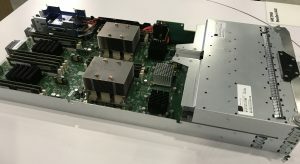 The new 9450 is an all-flash offering and HPE is saying that it will deliver double the scale and double the horsepower of its 8450 with the 9450 array. The 9450 is based on the same HPE Gen5 ASICs that power the 8000 series arrays but will offer greater scale for the processors that power the array and more DRAM for operation. 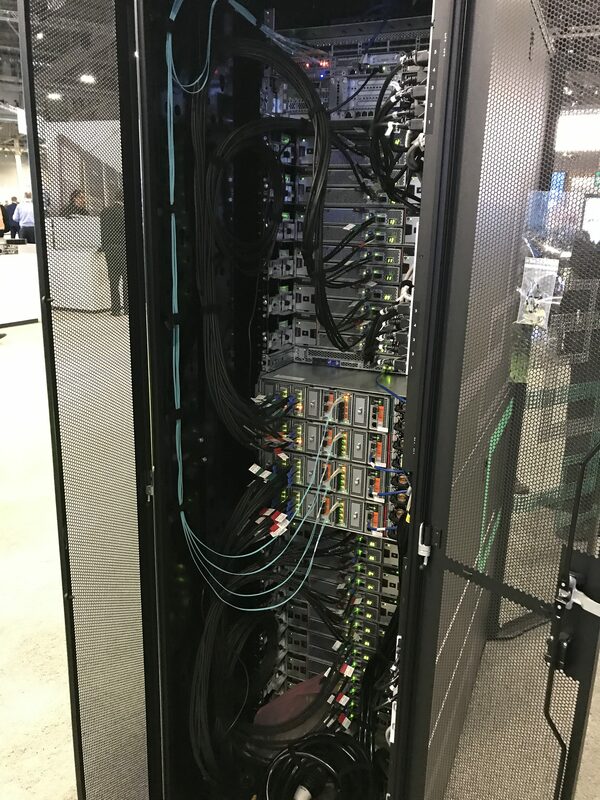 In terms of resiliency, HPE says the new array boasts six 9’s availability. Digging into the announcement, what are the highlights? Details on the processors is not yet available, so an assumption can be made that it will be the new Intel processors set to release in the coming weeks. 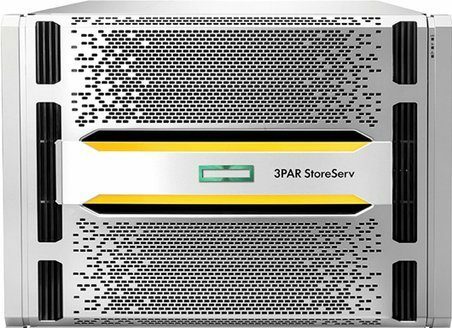 The 3PAR StoreServ 9450 utilizes the same controller design as the 20000 series arrays. This 8U chassis for its 4 controllers lacks any SSD drive bays, meaning that the 8000 series models with controllers integrated into a drive shelf can accommodate more SSD drives in less rack units. The trade off is the ability to accommodate NVMe storage in the controller on the 9450 which the 8000 series controllers do no have space to accommodate, meaning in the 9450, you can get some storage in the controllers. With the new 9000 series and 20000 series controllers, they’re a 2U size, meaning more room for processors, memory and half-height PCI cards. All of this equates to the ability to push the high-end limits of the mid-range 3PAR higher than ever.